Eurodollar has reached its minimum downside target as a correction. According to the main scenario, the pair may continue forming this descending structure towards level of 1.1200, which may be considered as a part of the descending movement with the target at level of 1.1100. An alternative scenario implies that the price may break the maximum of its ascending wave and then continue growing. 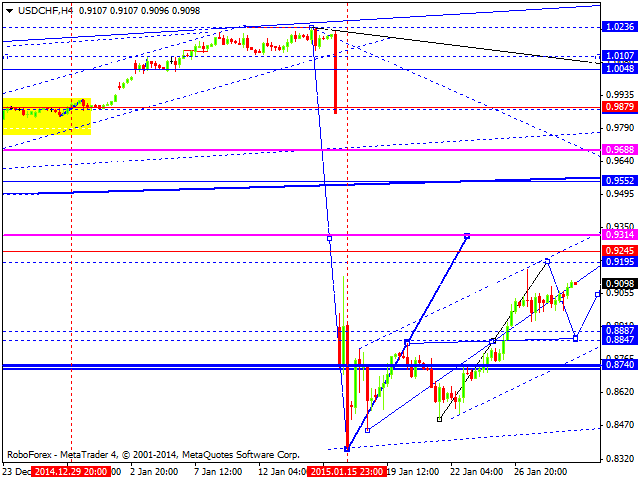 The target we’ll be specified after the market breaks the maximum. Pound is still falling. 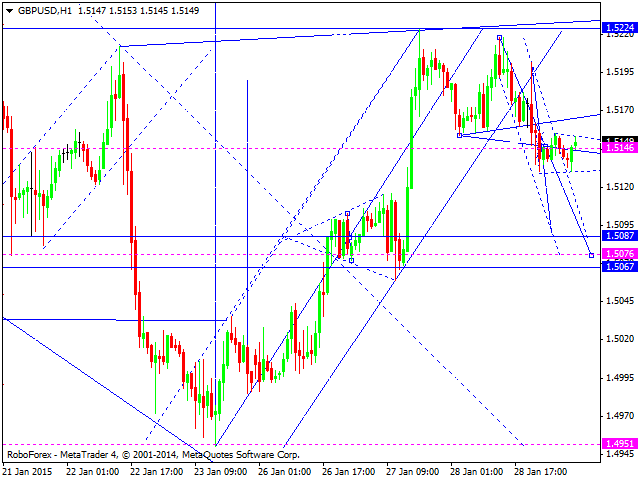 We think, today the price may reach level of 1.5087 (at least) and then grow to reach a new high. Later, in our opinion, the market may fall to return to level of 1.5087, thus forming a wide consolidation range. Franc is attempting to continue its growth. We think, today the price may reach level of 0.9254 or even 0.9300. Later, in our opinion, the market may fall to reach a new low and then continue moving downwards inside the downtrend. 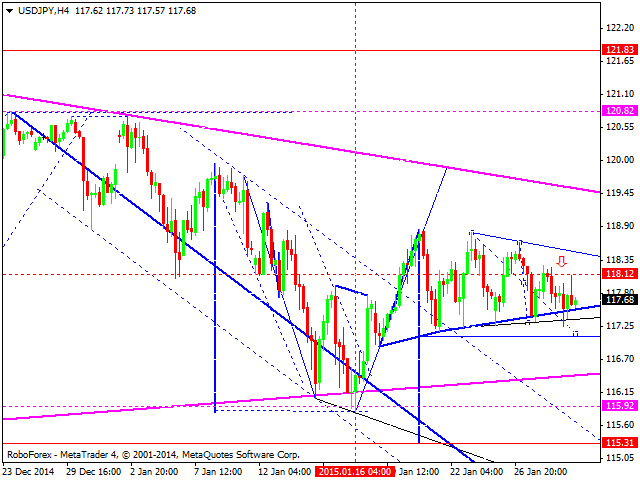 Yen is under pressure and continues falling; the market has returned into consolidation triangle pattern. Taking into account that stock market are falling quickly, today the pair may also make a fast descending movement inside the downtrend to reach level of 115.00. Australian Dollar is still forming a descending wave; the pair has completed its correction. 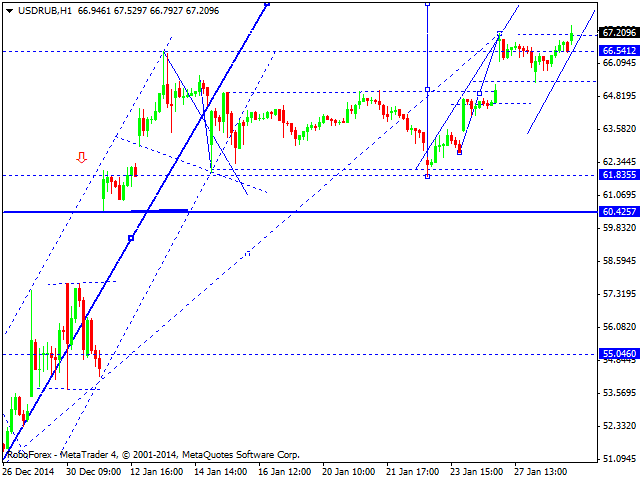 We think, today the price may fall to reach level of 0.7780. Later, in our opinion, the market may form another consolidation range and then continue falling inside the downtrend. Influenced by the negative fundamental background, Ruble is expanding its trading range up to level of 68.00. 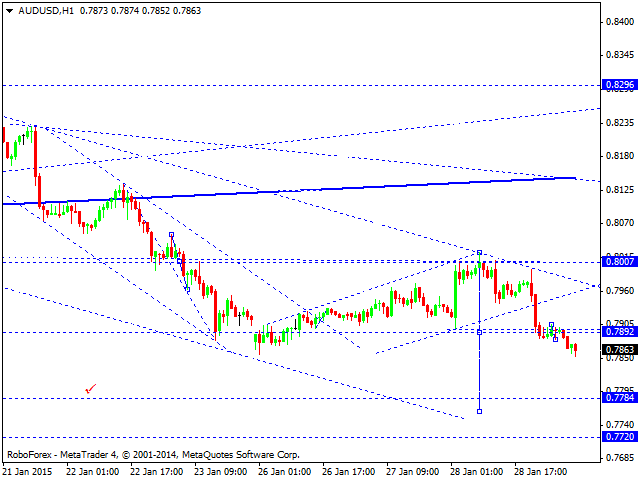 After reaching it, the pair is expected to start falling to return to level of 55.00. 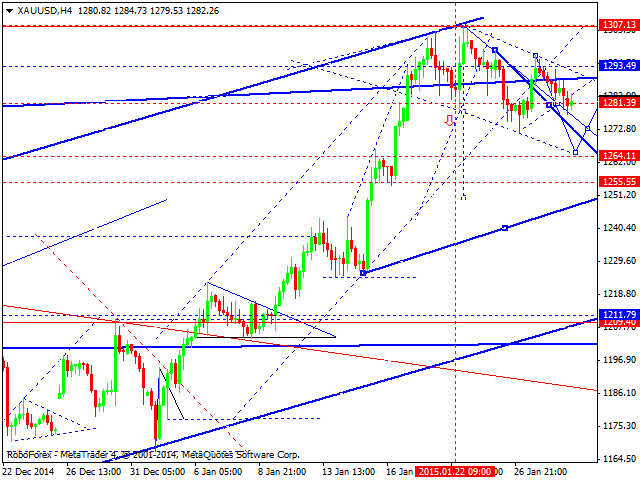 Gold is under pressure and continues moving downwards. 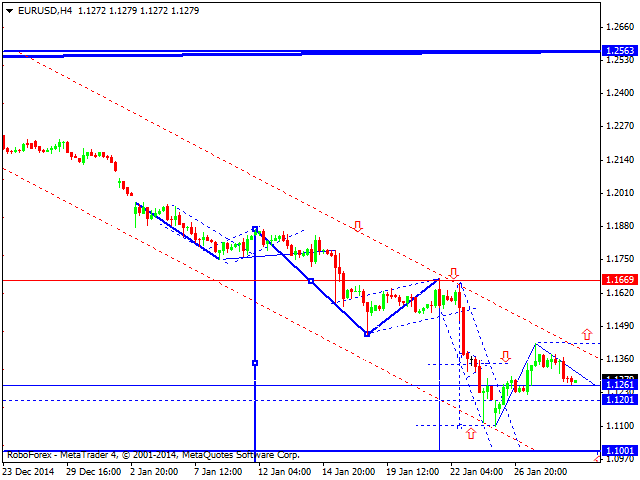 We think, today the price may continue forming its wave with the target at level of 1255. This structure may be considered as the start of the descending movement with the target at level of 1113.